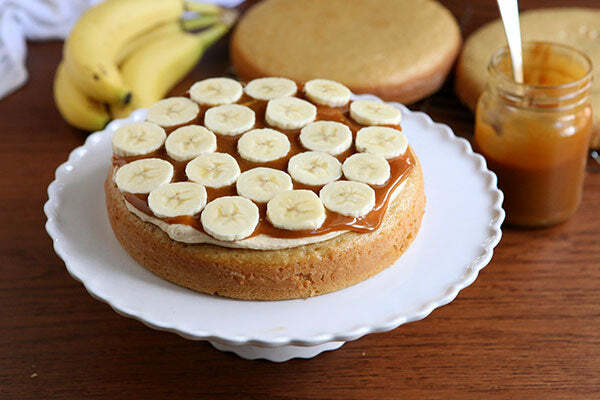 This beautiful layer cake made up of peanut butter cakes layered together with peanut butter frosting, sliced bananas and caramel is a dessert Elvis Presley certainly would have approved of. 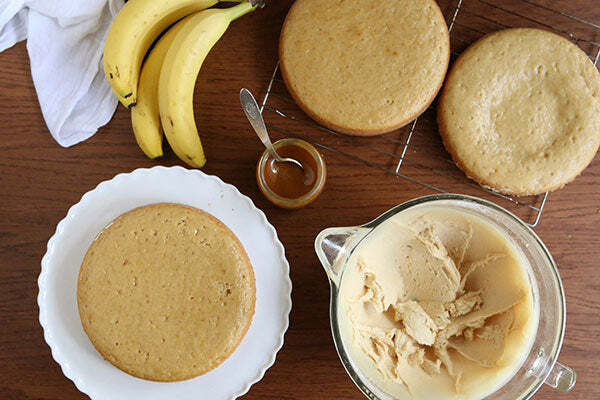 And after one decadent bite I’m completely sold on the peanut butter and banana combination. 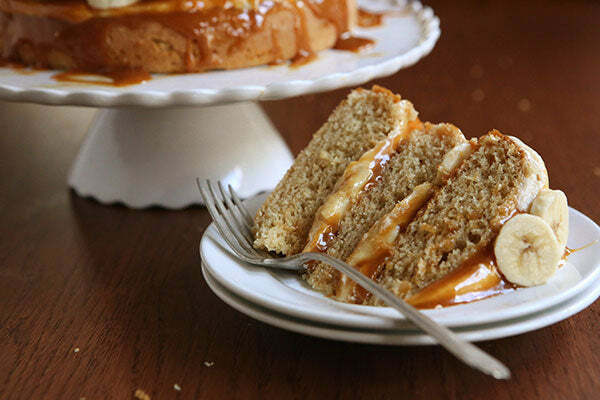 The sweet and salty caramel certainly doesn’t hurt either. 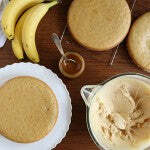 The cake is easy to assemble, thanks to its unpolished presentation. 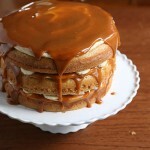 Leaving the sides unfrosted allows you to see all of the fun layers, and lets the caramel drip down the sides. 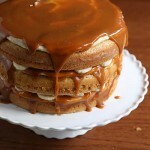 The caramel will keep on dripping, however, so it’s best served immediately or stored in the fridge. 1. To make the cake, preheat oven to 350°F. 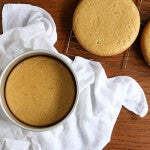 Grease two 9-inch round cake pans with butter or nonstick cooking spray. Line the bottoms with parchment paper. 2. 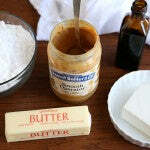 In the bowl of a stand mixer fitted with a paddle attachment, or in a large bowl with a hand-held mixer, beat the peanut butter and sugar on high speed until light and fluffy, and the mixture sticks to the sides of the bowl. This should take about 4-5 minutes. 3. 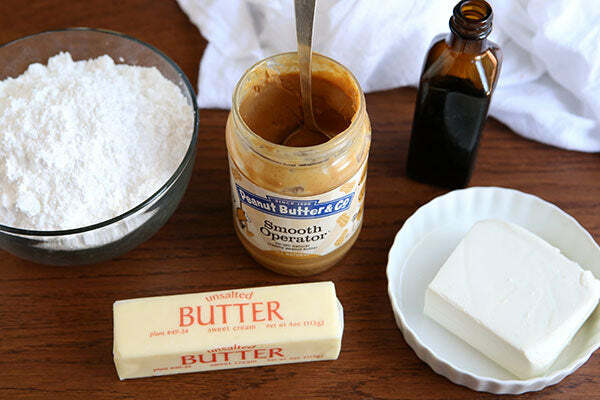 In a separate bowl, combine the flour, baking powder, baking soda, and salt. 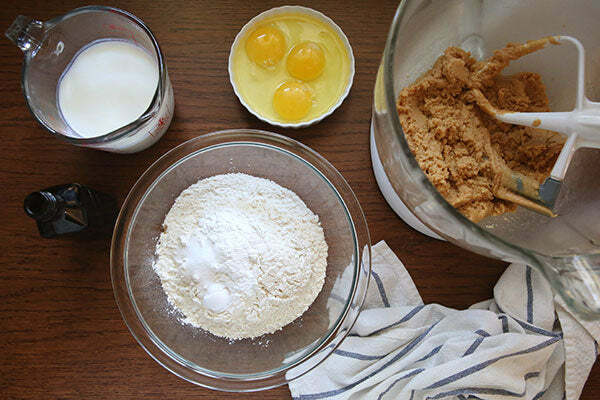 Whisk together the buttermilk, eggs, and vanilla extract in a third bowl. 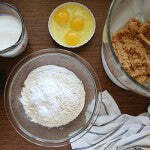 Alternately add the wet and dry ingredients to the mixer in 3 additions, starting and ending with the dry ingredients. 4. 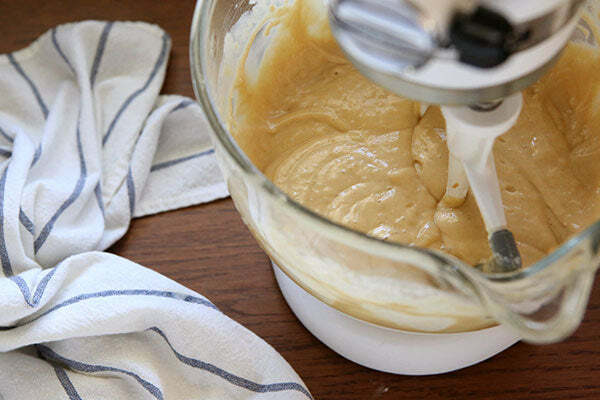 Pour 1/3 of the batter into each prepared cake pan. Bake until golden and a toothpick inserted into the center comes out clean, about 25-30 minutes. 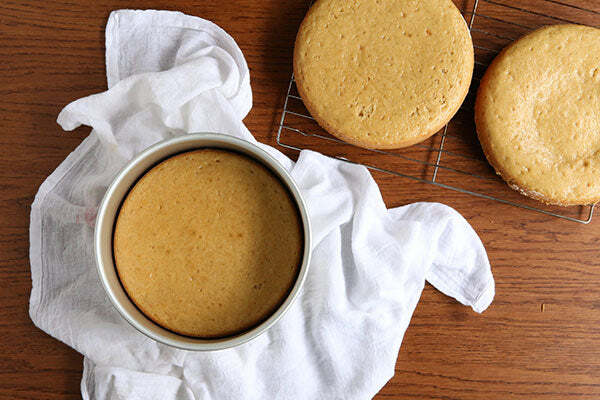 Let cakes cool 10 minutes in the pan, then transfer them to a wire rack to cool completely. 6. 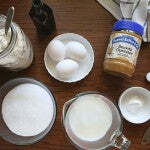 To make the frosting, beat the cream cheese, butter, peanut butter, and powdered sugar together until smooth. 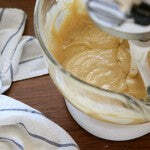 Add enough milk or cream to get a spreadable consistency. Beat on high another 1-2 minutes until light and creamy. 7. To assemble the cake, place 1 cake layer on a cake stand or display plate. Cover with 1/3 of the frosting. Spoon enough caramel topping over the frosting to cover. 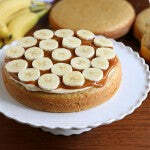 Top with bananas. Repeat with remaining cake layers and frosting. 8. 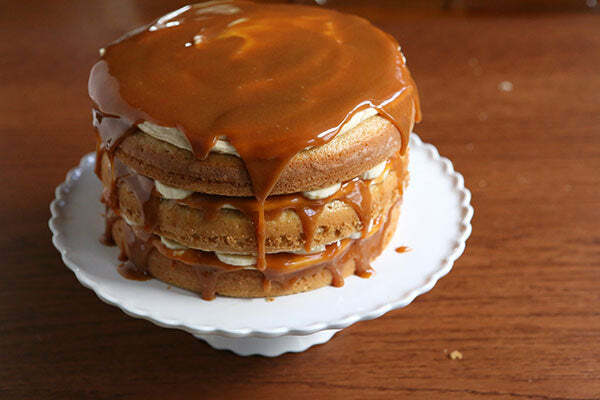 Serve cake immediately, or immediately place cake in the fridge until ready to serve to prevent the caramel sauce from dripping too much. 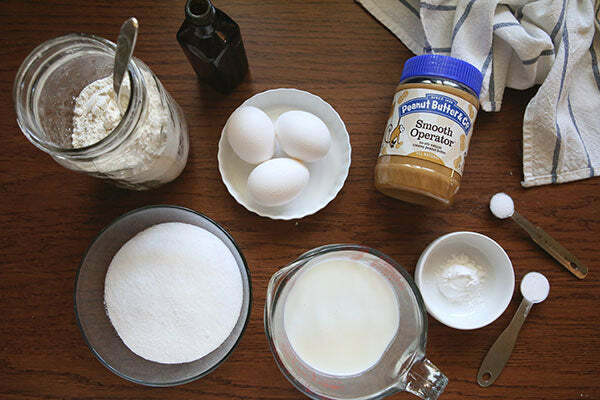 What other kinds of cakes would you like to see us add peanut butter to? Leave a comment below with your answer to enter for a chance at winning a jar of of Smooth Operator, the peanut butter used in this recipe. – The giveaway is open to USA residents only and will run until Thursday, June 18th, 2015 at 11:59 PM EST. – Winner(s) will have until 6/25/15 to claim their prize or we will choose another winner. 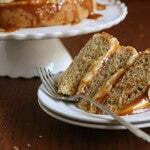 The post Peanut Butter Caramel and Banana Layer Cake appeared first on - Peanut Butter & Co. Recipe Blog.